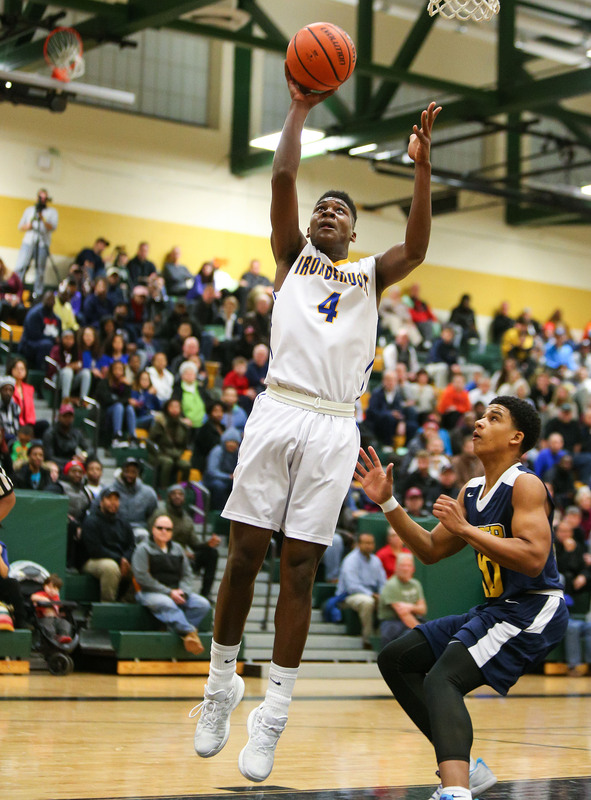 Former Irondequoit and current La Lumiere star Gerald Drumgoole announced his commitment to play basketball at Pittsburgh on Monday evening. Drumgoole, a 6-foot-5 forward, is a composite 4-star recruit according to 247Sports. He had scholarship offers from Maryland, Minnesota and South Carolina, among others. In Drumgoole’s sophomore and junior years at Irondequoit, the Eagles won Section V championships. He was named the Democrat and Chronicle’s 2018 All-Greater Rochester Player of the Year. Drumgoole visited Pittsburgh this past weekend, which included attending the Panthers’ game against NC State. Pitt is in its first year under new head coach Jeff Capel, who was a long-time assistant under Mike Krzyzewski at Duke. There are no Section V alumni in the Atlantic Coast Conference this season. Drumgoole becomes the first such player since Bishop Kearney’s Chinonso Obokoh played at Syracuse. Drumgoole teamed with fellow Rochester product Isaiah Stewart at La Lumiere, a prep school in Indiana. Stewart recently committed to play for Mike Hopkins and Washington. Pittsburgh, once a storied program, is currently 12-12 this season. But Drumgoole is looking forward to joining the 47th-winningest program in NCAA history, with more than 1,600 wins. “It’s time to make the program great again,” Drumgoole told Stockrisers.